It’s the heart and soul of classic cabling with circular connectors: the sensor/actuator box. Whether for use in machine building, fluid or process engineering, for indoor or outdoor use: robust distributor boxes substantially reduce cabling expenses during installation and maintenance. Fig. 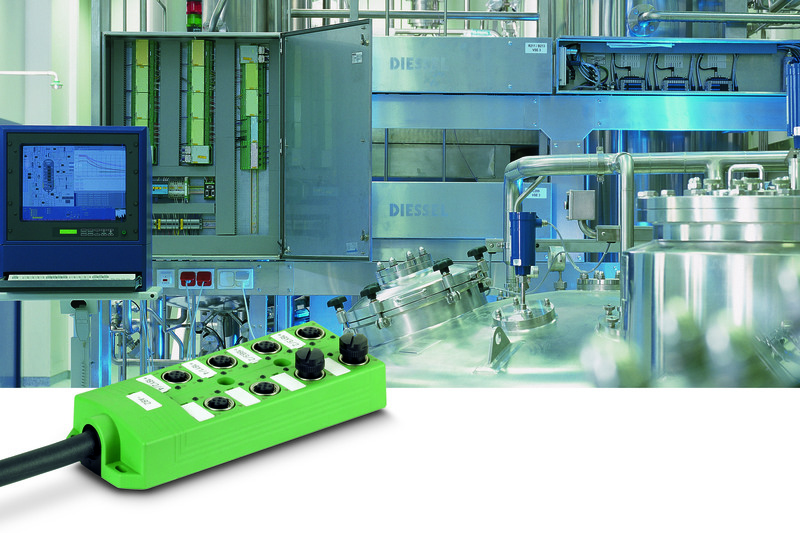 1: Appropriate for all applications, distributor boxes establish the connection between sensors/actuators and the control level, even in the field of fluid and process engineering. In the field of mechanical engineering, circular connectors have long been used to establish the connection between sensors, actuators and the control level. In this sector, the M12 connectors with a wide selection of variants for most diverse applications as well as the M8 connectors offering a compact design are among the most popular connector sizes. In compact machines and systems, individual sensors and actuators are directly connected to the control cabinet or controller. However, if the systems are widely distributed, this procedure leads to a high amount of cabling. 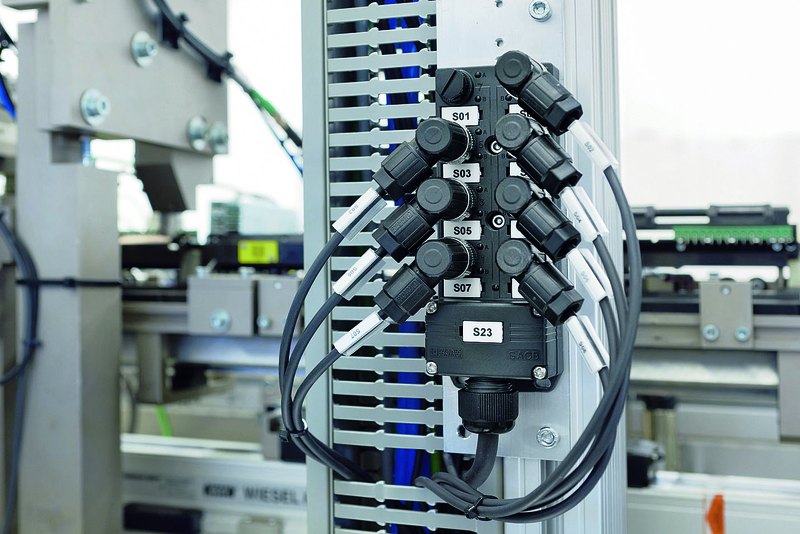 Thus, terminal boxes have been and are still being used in order to combine connecting cables for sensors and actuators in a multi-wire cable. However, wiring in terminal boxes brings about a whole series of disadvantages that can be avoided when using sensor/actuator boxes. Handling of the boxes is much easier with regard to planning, installation and maintenance processes. In terminal boxes, each I/O signal needs to be applied to terminal blocks. Using sensor/actuator boxes, the signal is connected via standardised circular connectors. Thanks to plug-and-play, it is no longer necessary to connect single wires. The amount of cabling is reduced when using distributor boxes with double-assignment of individual slots: a distributor box with eight slots is able to receive a maximum of 16 sensor signals from 3-wire proximity switches. In this case, 48 single wires need to be connected in a terminal box. In contrast, only eight M12 or M8 slots are required when using a sensor/actuator box (Fig. 2). Fig. 2: Distributor boxes enable the decentralised collection of analog and digital signals. This ensures structured cabling by additionally reducing maintenance and repair efforts. In the event that a sensor fails in the terminal box, much effort is required to identify the corresponding terminal points. Using a distributor box, the corresponding connector can be easily and quickly identified and replaced, thanks to the integrated LEDs and large labelling fields. The standardised interfaces in conjunction with codings, which offer protection against incorrect connections, enable users – even without a higher-level technical qualification – to carry out minor repairs after having been given only a short introduction. In the event of an error, the responsible technicians are able to replace a sensor, without the need for the involvement of a highly trained specialist. Sensor/actuator boxes not only simplify the installation and maintenance processes, there are many advantages already in the planning phase. The providers offer computer-aided design (CAD) and computer-aided engineering (CAE) information regarding the distributor boxes. Using Eplan engineering software, the macro required for a sensor/actuator box is placed in a matter of seconds, whereas the corresponding planning step for a terminal box requires great effort, since individual macros for terminal boxes and lines need to be combined. The CAD data available in different formats (e.g., STEP, IGES, DXF) by default facilitate its placement in the 3D model of a machine or system. This information is not always immediately available when using terminal boxes, in particular if they have special dimensions. 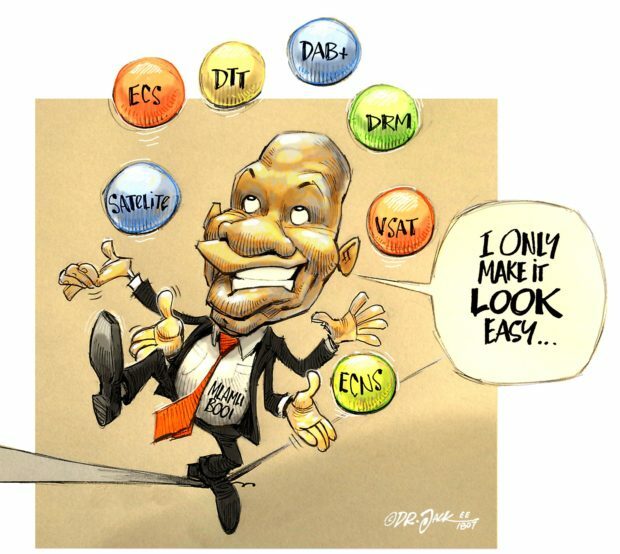 On the one hand, standardised classification systems such as eCl@ss or Etim contribute to simplifying the choice of products suitable for your own application. On the other hand, many manufacturers come up with their own solutions (e.g., configurators or selectors) for selecting appropriate products. Compared to terminal boxes, distributor boxes are provided with compact dimensions, thus saving a great deal of space. As a result, it is possible to achieve a slim and modern machine design (Fig. 3). Fig. 3: Slim design with modern appearance: distributor boxes are harmoniously integrated in current machines and systems. In general, distributor boxes meet the IP65 and IP67 degrees of protection as a minimum – indeed, they often exceed them. A special, constructive protection against ingress of humidity or dust is therefore not necessary. Using special plastics and metals, the robust design provides a good mechanical stability and resistance to shock and vibration. The housing of the sensor/actuator boxes is filled with a sealing compound, thus preventing the formation of hollow spaces in the distributor box. In this way, a potential surface corrosion of electrically conductive components is effectively avoided, that could have occurred as a result of humidity in conjunction with rapid temperature changes. At the same time, the selected material provides additional resistance against aggressive media such as hydraulic oils and cooling lubricants. 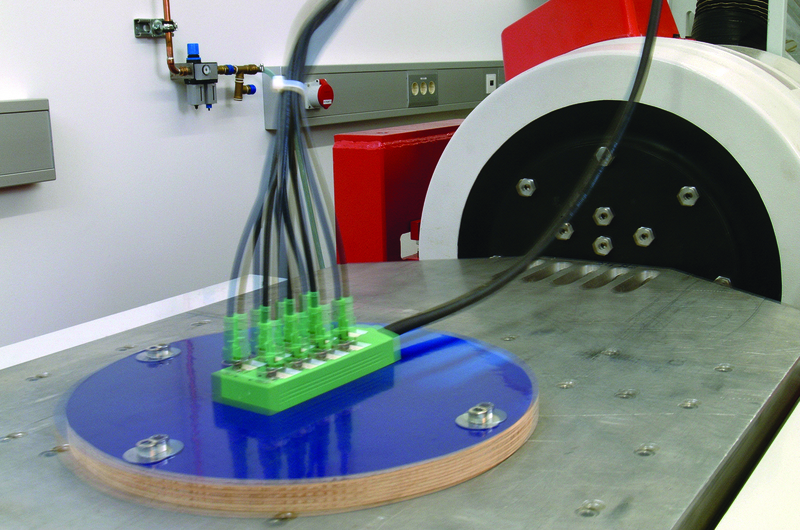 Depending on the application, this resistance property may be crucial for the service life of the components used. For example, they can be used without any problems in machine tools being exposed to humidity, coolants, high temperatures, and mechanical loads due to shock and vibration. The distributor boxes can also be used, without limitation, in the field of fluid technology and for controlling hydraulic components (Fig. 4). Fig. 4: The robust and reliable design of the products is proved by comprehensive tests such as shock and vibration testing. In contrast to traditional cabling with terminal boxes, passive distributor boxes make cabling of sensors and actuators much easier. Planning, installation, and startup processes as well as subsequent maintenance work are accelerated and can also be efficiently performed. In addition, distributor boxes offer a cost-effective intermediate option with regard to the use of fieldbus systems or Ethernet networks – particularly for machines and systems with limited spatial extensions and a limited number of I/O points. This is why the distributor boxes have gained great popularity as the heart of the passive sensor/actuator cabling in the production of special machinery, the series production of machines and in many other industry sectors. The distributor boxes are used for most diverse applications, among them in the field of fluid and process engineering. Apart from the robust product design, additional benefits result from the material selection, for example, the high resistance against hydraulic oils, coolants, lubricants and other media. The tracks on the printed-circuit board and the conductor cross-sections in the master cable are sufficiently dimensioned. As a result, it is possible to use bigger solenoids in hydraulic and pneumatic valves without any problems.